This shield is for the Arduino UNO and has 6 potentiometers on every analogue pin. The shield can also hold 14 servos. 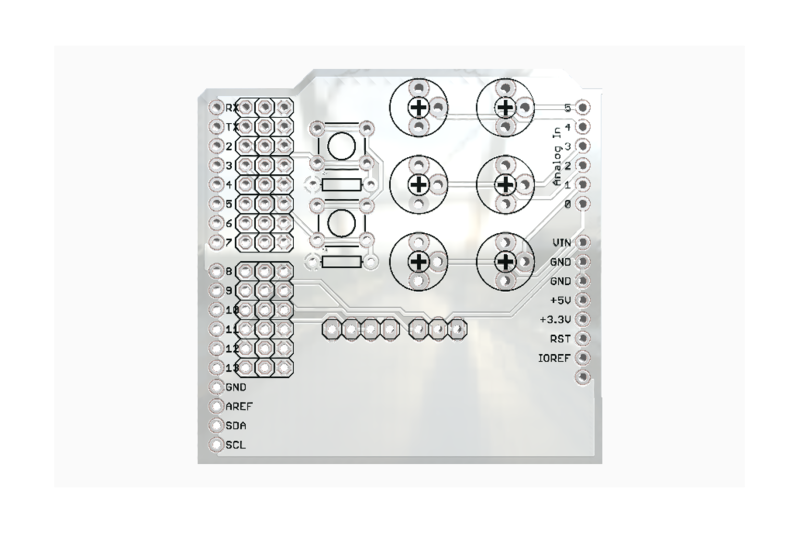 This shield is for the Arduino UNO and has 6 potentiometers on every analogue pin. The shield can also hold 14 servos (one for every digital pin). There are also 2 buttons on the interrupt pins 2 and 3. There are also pads for a 433MHz transmitter or receiver. 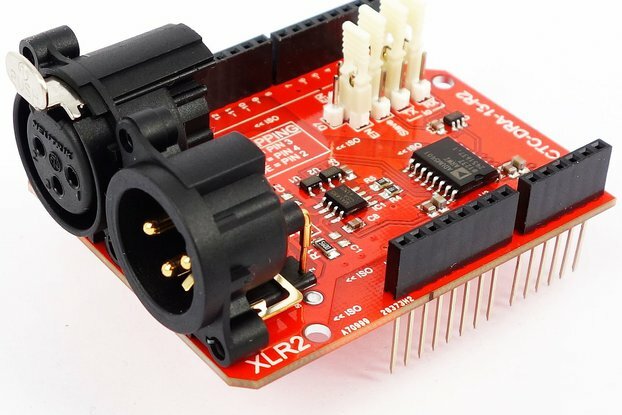 There was a project that needed 6 potentiometers getting sent to a robot to control it. This board was made to make it easier to construct the remote. 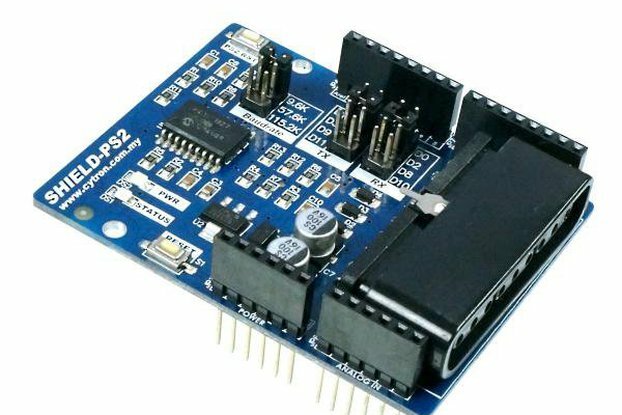 This shield makes it easy to set values using the potentiometers and the digital pins can easily be accessed to run motors. 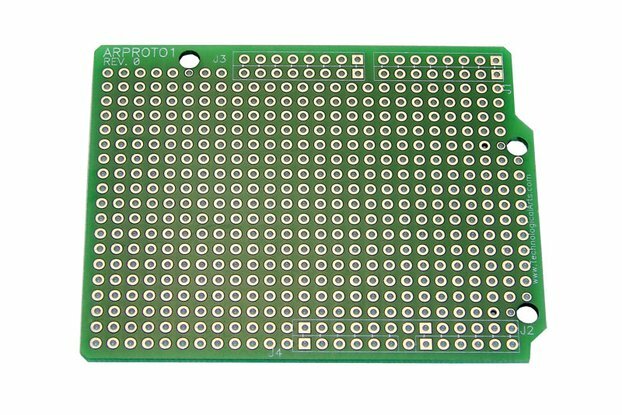 This board will not be assembled but will include the following parts.